Source code showing how to simply play a fullscreen video file in FPC using DirectX9, without requiring Lazarus. Includes source, EXE, example video, and DirectShow9 FPC translation. A guide to how to utilise the CPUID instruction, available on 486 and newer processors. CPUID allows an application to detect precisely the make, model and capabilities of the processor that it is executing on. These days this is less relevant, however this guide remains available for historical purposes. 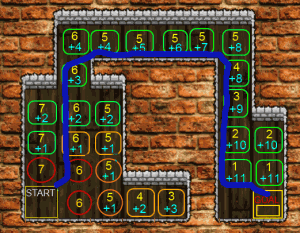 An article describing how the “A*” pathfinding algorithm works, step by step.